As the leading manufacturer of technologically advanced, state-of-the-art video surveillance products and security solutions around the globe, it naturally follows that Hikvision USA, Inc.’s product line includes a range of innovative terminals utilizing facial recognition technology. The deep-learning algorithms embedded in Hikvision’s face recognition terminals enable access control and improve security to increase the functionality of building operations, strengthen workforce management and fortify safety operations. 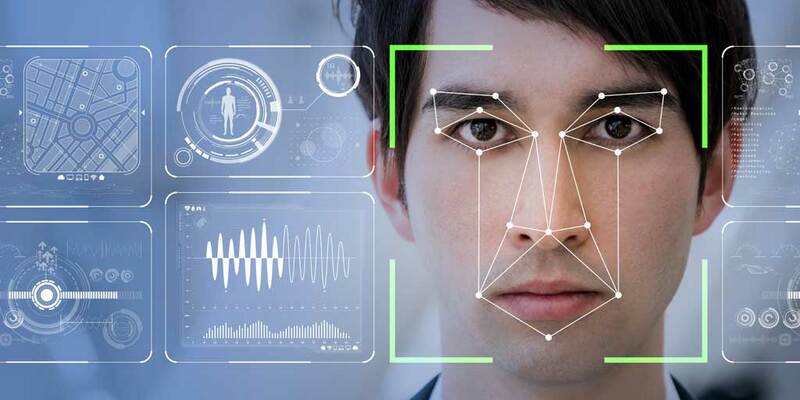 Three terminal models using facial recognition technology are available, each of them with a distinctive and flexible design to meet the diverse demands of various types of users with widely ranging levels of need. Models include Wall-Mounted Face Recognition Terminals (DS-K1T604MF and DS-K1T606MF), Base- or Wall-Mounted Face Recognition Terminals (DS-K1T605MF) and the Face Recognition Component for Access Turnstile (DS-K5603-Z). All three of the terminal models are easily installed and simple to use. Wall-mounted terminals enable quick, secure access at points of entry. Base and wall-mounted terminals are ideal for mounting on vertical surfaces such as walls or on stationary horizontal surfaces including front desks or reception area check-in counters. In the Face Recognition Component for Access Turnstile, facial recognition technology is specially designed for use in combination with access turnstiles. If necessary, horizontal rotation of this model upon installation is available to more effectively capture facial images. Hikvision offers various models and types with a wide variety of front-end or back-end combinations in order to meet the numerous requirements of clients and the various environments in which they are installed. Hikvision’s face recognition terminals support 1:1 or 1:N matching modes, authentication via Mifare cards and TCP/IP or RS-485 connectivity. Compared to products offered by their competition, the Deep-Learning algorithms embedded in Hikvision’s face recognition terminals reduce transmission delays and create a reduced load on back-end components. Consequently, the facial recognition terminals are highly accurate and extremely successful in their objective, generally hitting face-capture accuracy rates of 99% in less than a half of a second. Especially useful during busy rush hours, terminals using Hikvision’s facial recognition technology installed at access turnstiles enable response times of less than half a second, enabling up to 40 individuals to pass per minute. Hikvision’s face recognition terminals are beneficial for a wide range of applications and various environments. They are also customizable to each client’s specific needs. Multiple authentication modes include capturing facial images, ID card swiping combined with facial image comparison and custom modes created to suit the environment and level of security needed. In our years of providing and installing quality custom commercial security and business security systems for clients throughout Northwest Florida, we at Ivanco, Inc. have tailored security solutions for a variety of needs. With the facial recognition technologies in each Hikvision terminal we install, we at Ivanco, Inc. believe that we are better enabled to meet the specialized demands of clients no matter the type of security challenge they face. As a premier provider of Hikvision products, our clients have access to innovative solutions that lead the way in security, effectively safeguarding their businesses and minimizing threats. Call the skilled security experts at Ivanco, Inc. to learn more about how the facial recognition technology in Hikvision’s products can benefit your security needs today!